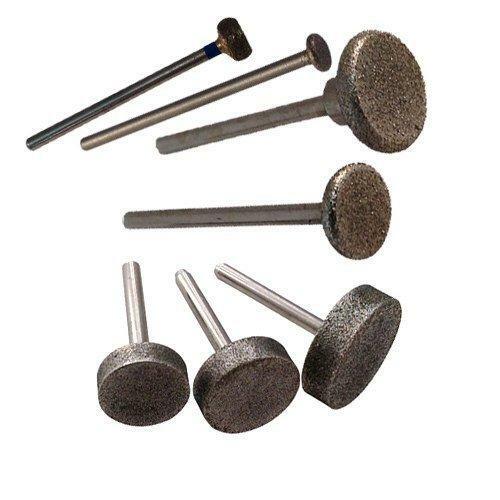 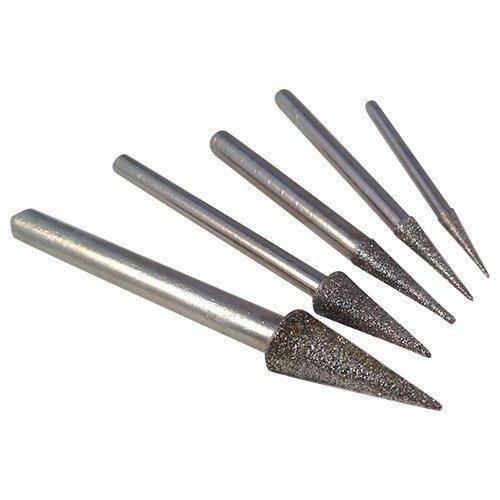 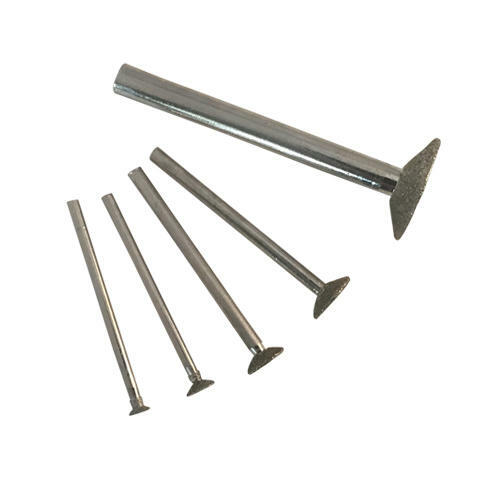 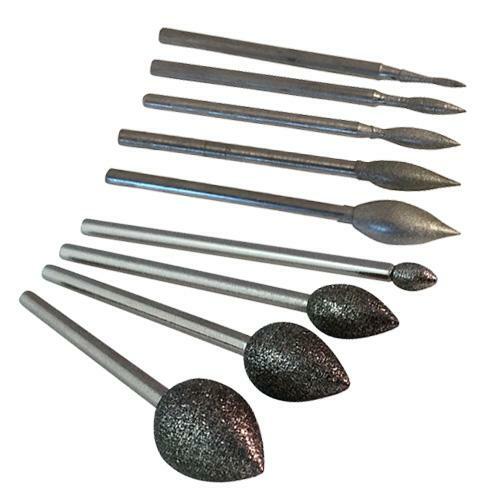 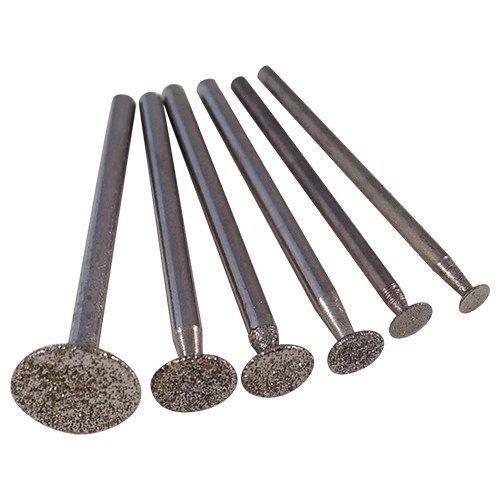 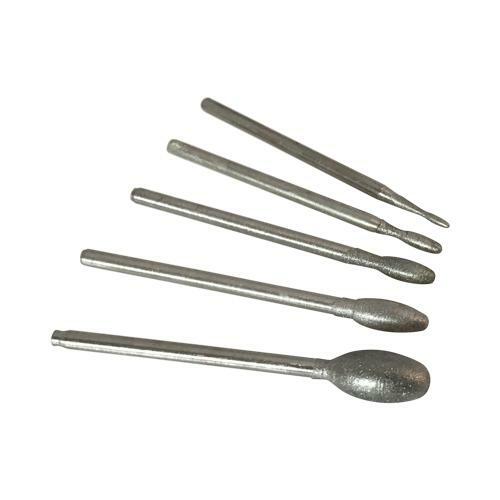 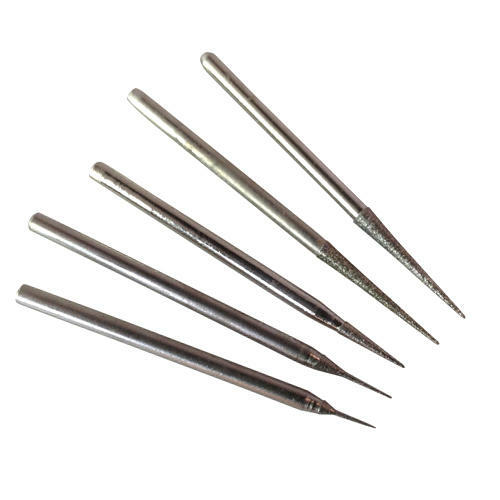 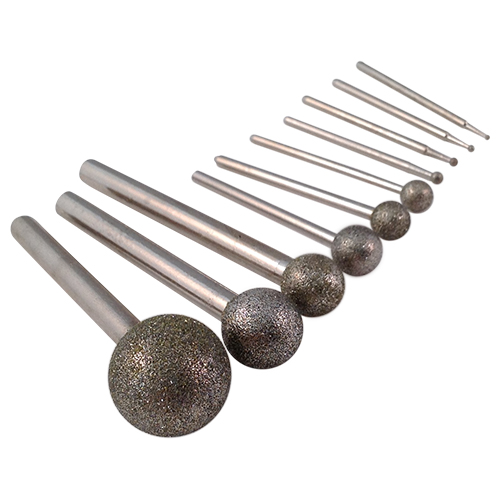 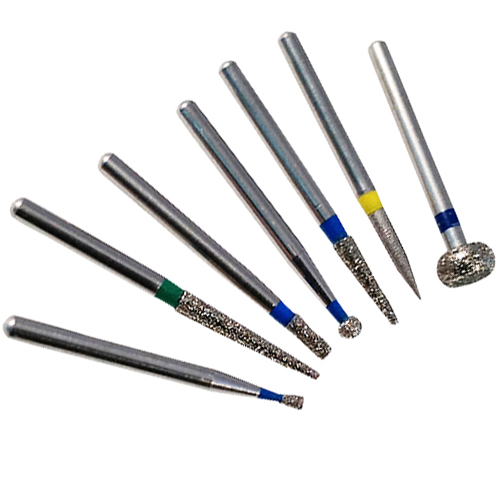 We offer a wide selection of electroplated, bonded and sintered burrs with a variety of shank sizes: 1.6mm, 2.35mm, 3mm and 6mm and ranging in diameter sizes from 0.6mm - 50mm. 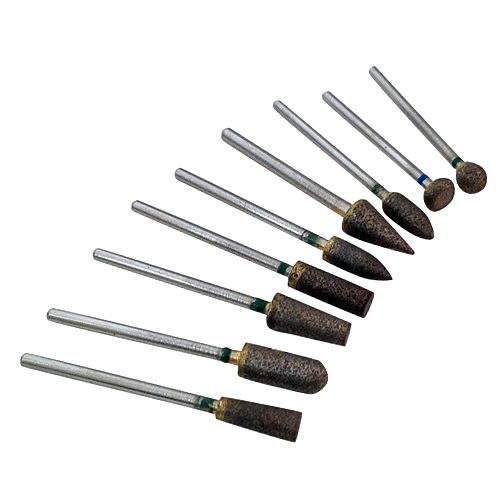 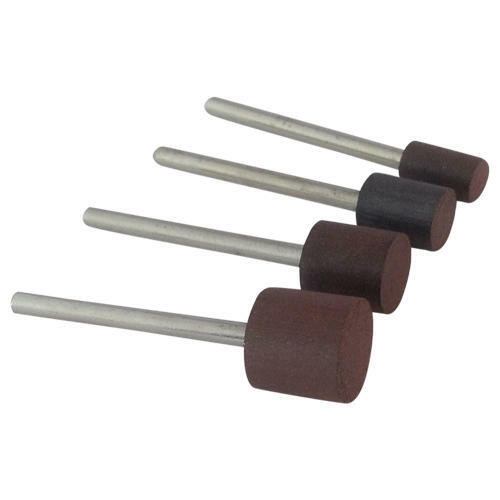 Suitable for use on glass, stone, ceramic, porcelain, shell, bone, gemstones, fossil and hard woods. 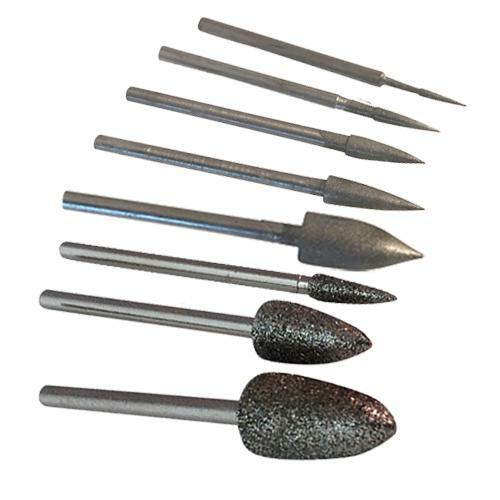 Excellent for engraving, carving, shaping, grinding and deburring. 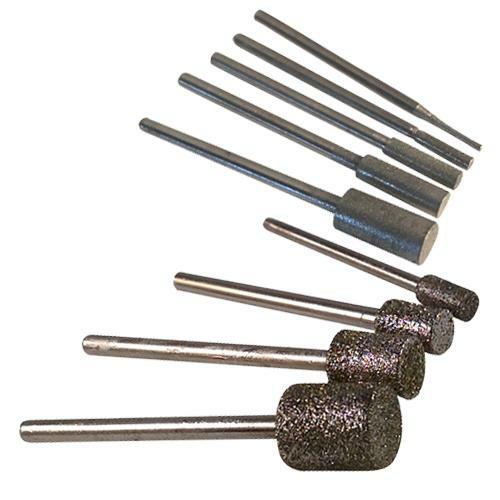 All of our diamond burrs are of premium quality so please be aware of cheaper imitations.